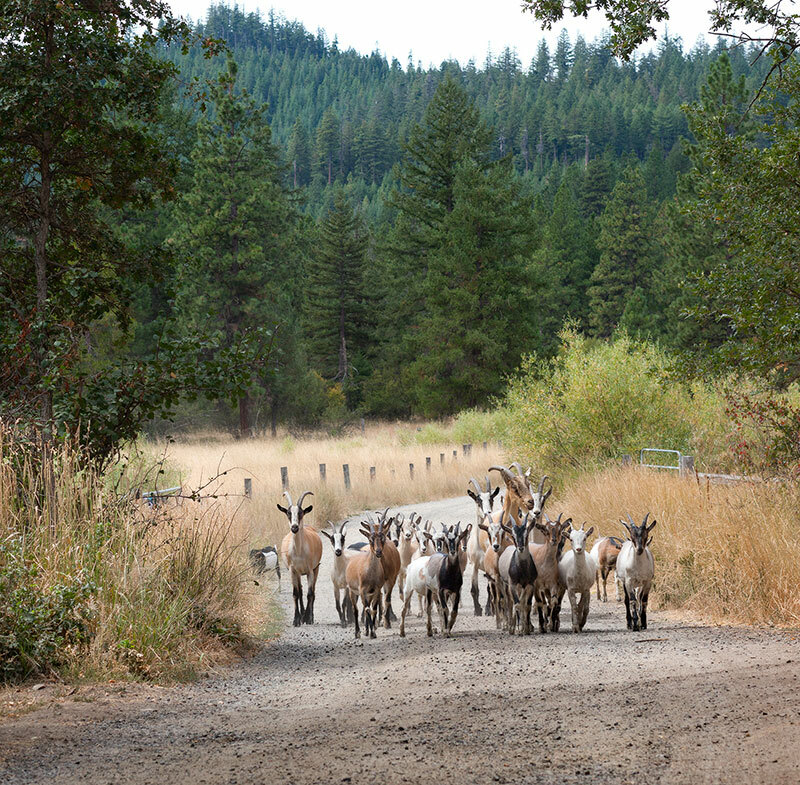 Find out why Conde Nast Traveler called Willow-Witt Ranch Farm Stay “Agritourism at its Best,” and why our Farm Stays are featured in the Los Angeles Times ("Family Vacation at Willow-Witt Ranch in Oregon"), New York Times ("Only Hours From Napa but a World Away") and other publications. 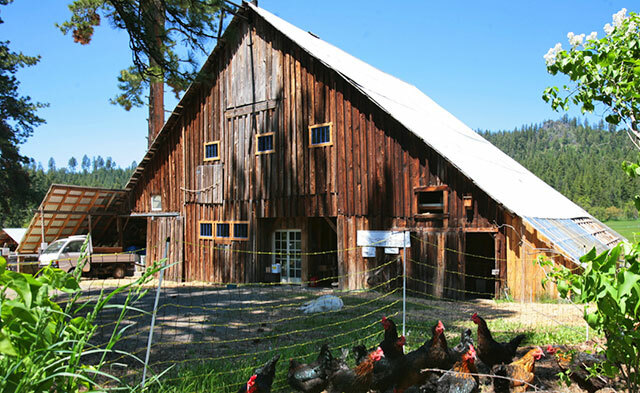 Willow-Witt Ranch is the perfect place to discover nature, well-mannered farm animals, off-grid living, and a sense of belonging. Since 1985, we have worked to improve the health and balance of the soils, forests, plants, and water of this special land. Our farming endeavors add to the vibrant health of the land and our scale of farming is sized to fit into the environment. Our gentle valley invites you to explore forests, meadows and wetlands filled with wildlife, colorful birds, and over 200 varieties of plants in a restored and protected environment. 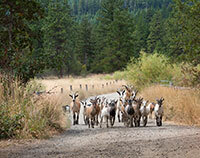 This is your chance to stay, play, and discover farming on a working high mountain ranch. We are just 12 miles from Ashland, a vibrant small town with large-town cultural offerings, but a world away. 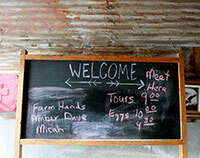 We offer a selection of diverse choices in Farm Stay accommodations. All guests are invited to a complimentary Farm Tour on their first morning here to learn about the natural and human history of the land and the farm. 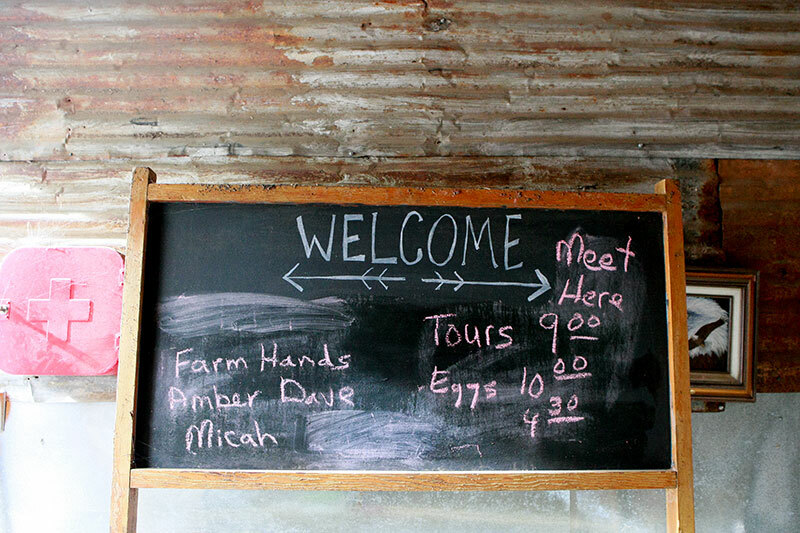 Our guests see the milking process, and join in animal-feeding, egg-gathering, and vegetable farming. We offer families the chance to harvest the freshest vegetables and to purchase eggs, milk and meat products at our Farm Store. From our secluded Meadow House to tent sites at our Campground, we have the perfect stay for everyone. We host weddings, family reunions, retreats, and dinners throughout the year, along with individual and school group farm experiences. The light-filled Farmhouse Studio looks out on meadows, forests, and the farm. It is in the center of the farm, yet provides privacy for up to six. It features two queen beds in a loft, and a full kitchen, bath, and double sleeper-sofa on the main floor. Enjoy a fire in the woodstove on a cool morning, breakfast on the secluded deck, and an afternoon of exploring. The Meadow House is a private three bedroom, two bath house a quarter mile from the center of the farm. It sleeps up to 10 and features a wraparound porch for viewing magnificent meadows and mountains. The open yard can be the setting for small weddings, intimate dinners, or children playing. The south-facing porch is the perfect site for viewing the evening alpenglow. 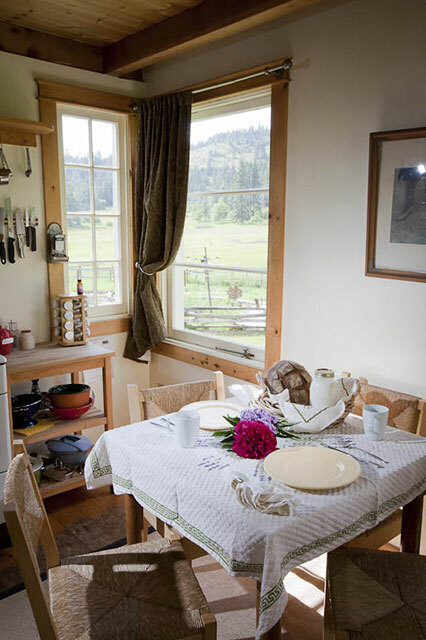 The Meadow House can be combined with other accommodations for larger groups or events. Our Campground, has a fully-appointed community Cookhouse, hot water outdoor showers, a spacious Bathhouse, and is the liveliest part of the farm. The four Furnished Wall Tents offer the ultimate in comfort with superb mattresses, luxurious cotton bedding, down duvets, and woodstoves. Pitch your own tent in one of our forested Camp Sites and enjoy the use of all the Campground amenities. 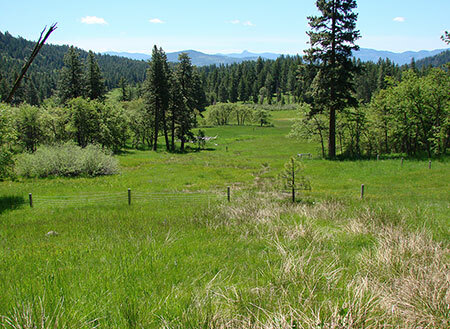 Willow-Witt Ranch is in the foothills of the Cascade Mountains at 5000’ elevation. The ranch has more than 3 miles of (mostly easy) hiking trails and is 2 miles from the trailhead for one of the best hikes in the Bear Creek watershed, Grizzly Peak. The ranch is a birding hotspot and has nesting pairs of Great Grey Owls. Our garden and farm area is alive with birdsong and nests all summer, and the wetlands are home to a variety of wading birds including Mallard ducks and Wilson’s snipes. Take a walk through our healthy forests and restored wetlands featuring more than 200 varieties of plants. Spend a day birding, botanizing, or just soaking in the sun and fresh air. Walk to the pond for a sneak peek at Western Pond Turtles which have arrived with the wetland restoration. Watch the stars and Milky Way come alive under truly dark skies. Have a picnic at the farm with fresh vegetables from the garden and sausages from the Farm Store. This is the place to show your children where food comes from and how animals can be humanely and lovingly raised. 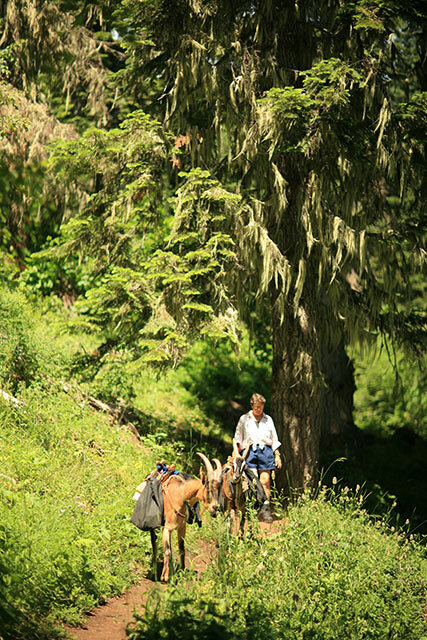 For a special treat, schedule a day-hike and lunch with our friendly pack goats and hosts; creating a friendship with working animals just may be the highlight of your vacation. Feel your family reconnect with the help of the farm and the natural world. Visit Ashland’s shops and restaurants, the Oregon Shakespeare Festival, ScienceWorks, the Cascade-Siskiyou National Monument, the historic town of Jacksonville, and the celebrated wineries of the Rogue and Applegate valleys. 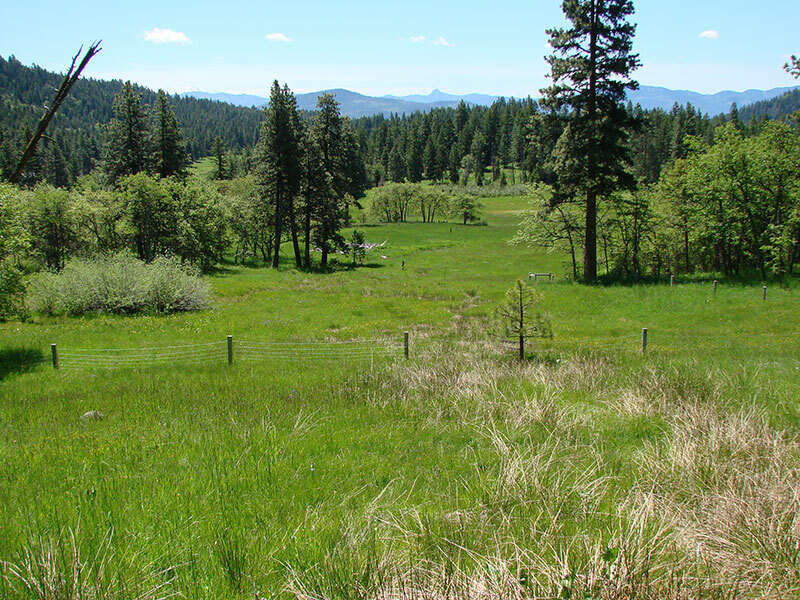 Willow-Witt Ranch is day-trip distance from Crater Lake, natural high mountain lakes, and rafting or fishing on the Rogue River. You might have to stay a week! Experience the daily rhythms of the farm by joining us in caring for the animals, feeding, milking, egg-gathering, or working in the vegetable garden. Join us for the daily goat browsing ‘migration.’ Our goats are healthiest when they eat a variety of plants, mostly above the grass level; we lead each herd (Dairy and Pack) for a migratory browse to different parts of our land. You may join us on the ‘migration’ (mostly level to rolling) for $50/family. Or sit and read a good book. All around you take in the unique living history that is Willow-Witt Ranch. We're here to show you where food comes from, and the best of farm living.